In December 1917, Sergei Rachmaninov had to flee Moscow in haste, never to return again. Some sixty years later, the composers Elena Firsova and Dmitri Smirnov were blacklisted in Russia (alongside five composers including Sofia Gubaidulina). 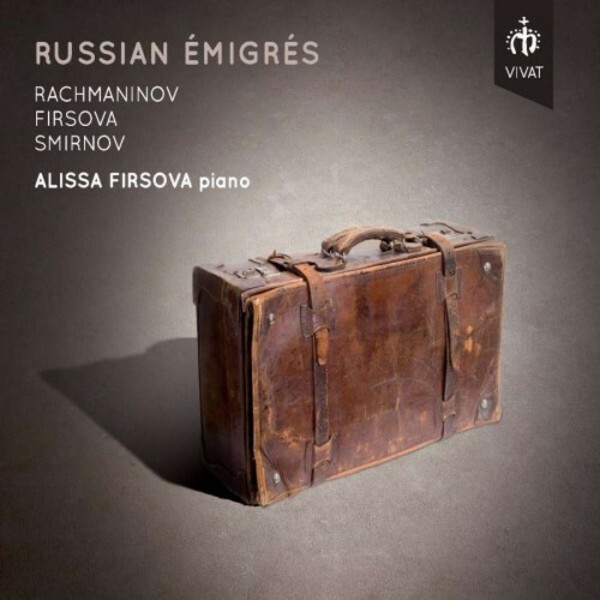 After a difficult decade, and just before the fall of the Soviet Union, they left Russia � doing so, like Rachmaninov, with just a couple of suitcases and their two young children in tow. Heading to Great Britain, and on arrival there moving lodgings no fewer than thirteen times, they finally settled in the UK. One of those youngsters was Alissa Firsova, who has since risen to become one of the UK�s brightest stars of the new composing generation. An equally talented pianist, on this, her d�but solo disc, she performs Rachmaninov�s rarely-heard original 1913 version of his Second Piano Sonata, and the Variations on a Theme of Corelli, together with music by her father (Dmitri Smirnov�s Blake Sonata), her mother (Elena Firsova�s For Alissa) and Alissa�s own Lune Rouge. The extensive presentation includes a 32 page booklet with insightful liner note in three languages (English, French & German), together with copies of manuscripts and session photographs.